Happy April! I’m definitely glad to leave the March cold behind and welcome in April’s warm temperatures and beautiful blooming trees and flowers. Easter is less three weeks away and my house is decked out in Easter décor. 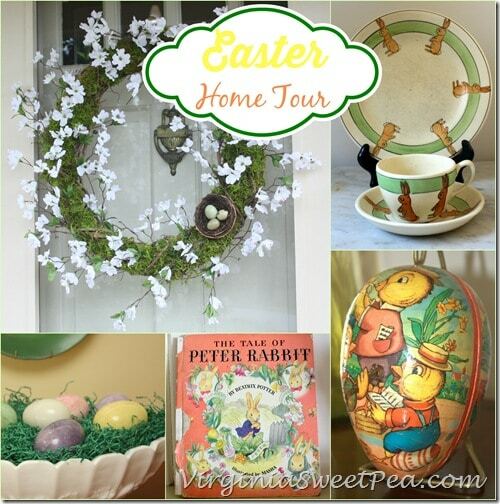 Come on in for an Easter tour! 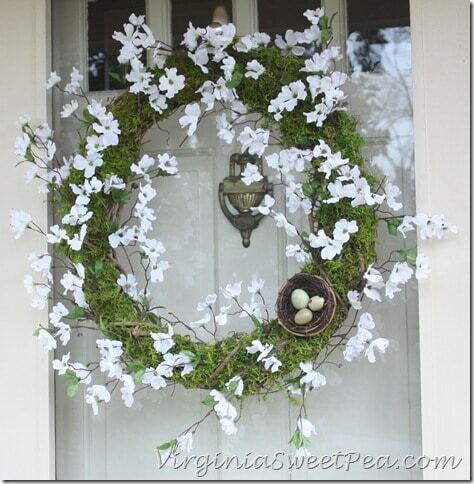 The front door welcomes guests with a moss covered wreath adorned with Dogwood and a sweet bird’s nest filled with three eggs. 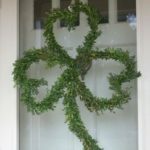 I glued the moss, Dogwood, and the nest to the wreath with hot glue. 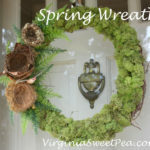 Dogwood is Virginia’s state tree and they bloom here in May, so this wreath will stay on my door until it’s time to craft a summer one. Entering through the front door finds us in the formal living room. 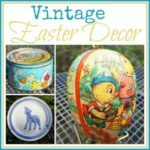 I’ve decorated with a combination of vintage Easter items, things that I’ve made, and a few new things. 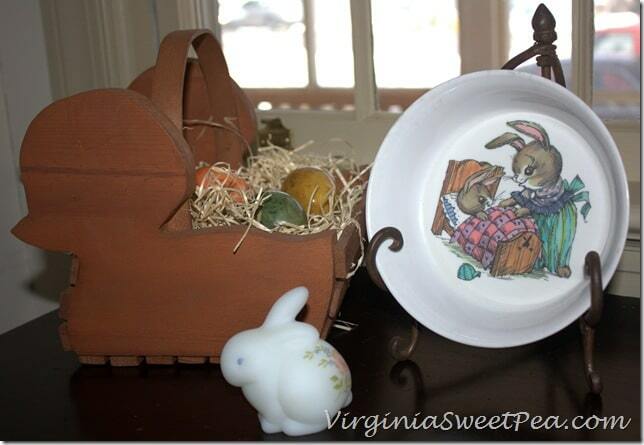 The bunny perched in the basket on the small table was my Easter centerpiece in 2011. 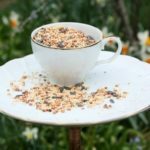 You won’t believe what I used to make this! 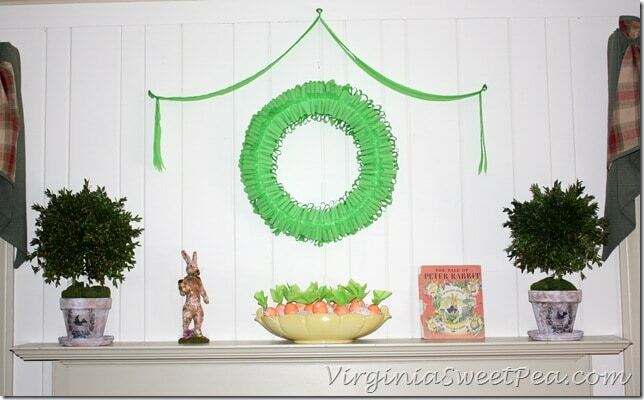 The wreath above the mantel is crafted from crepe paper and the carrot eggs in the vintage planter were a 2013 craft. The eggs were hard boiled and saved in an egg carton and they are perfectly fine this year. (Of course if I cracked one open, it may be a different story!) The topiaries on the sides of the mantel were made by inserting Boxwood sprigs into a Styrofoam ball. A dowel was inserted into the ball and then into Styrofoam in each flower pot. The rabbit has lived with me for many years and each year is displayed in a different place. Mama gave me my dad’s 1942 The Tale of Peter Rabbit book last year for Easter. The illustrations in it are darling! 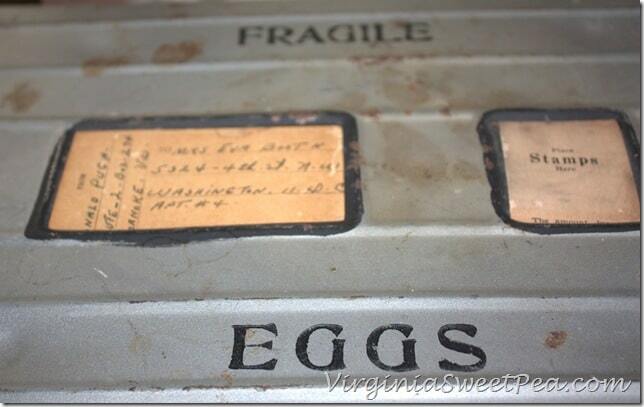 On the hearth is a vintage egg shipping crate used by relatives. My grandmother gave this to me and I rarely see one like it for sale in antique shops. 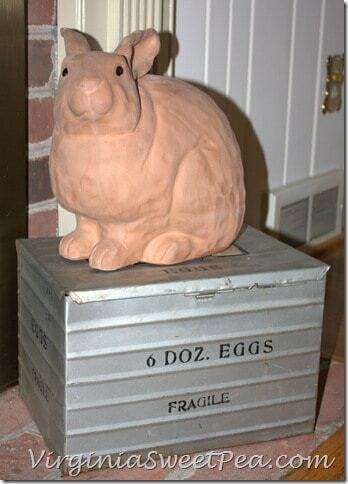 The terracotta bunny is a new addition for 2014. The top of the carton has a place for the label and stamps. 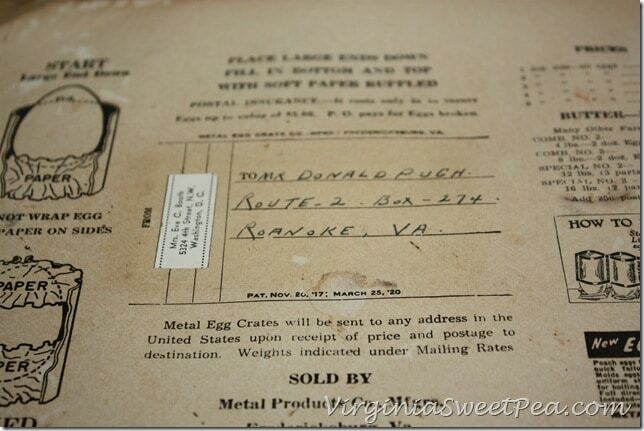 A relative in Roanoke, VA would send eggs to another relative in Washington, DC. The cardboard in the top of the box was flipped to the other side when the box was returned back to Roanoke to be refilled. The eggs were wrapped in paper and nestled into the box for safe shipping. Have you ever seen a box like this? The music stand to the left of the mantel and table to the right of the mantel each are used to display more Easter things. My grandfather made the wooden chick basket when I was a teenager, the eggs belonged to a neighbor and were purchased in Germany, the bunny is Fenton, and the adorable Peter Rabit bowl was my brother’s. I also have a matching smaller bowl and cup. My version of the set was Goldilocks and the Three Bears. 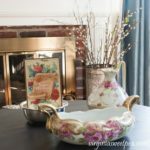 A Roseville bunny cup and saucer and plate on display to the right of the mantel were my grandmother’s and were given to her in the early 1920’s. 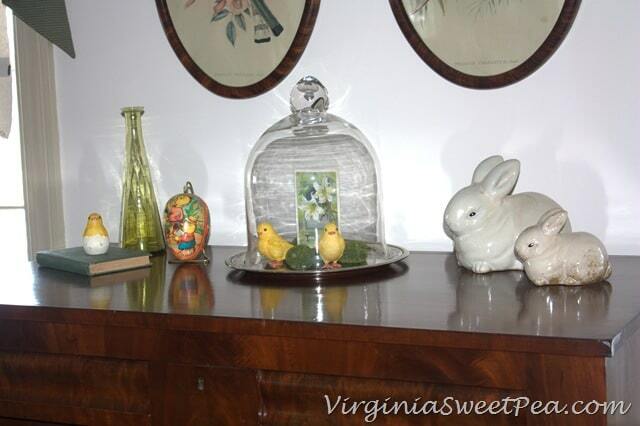 The Easter decorating continued to a chest in the living room. The chicks, bunnies, and moss rocks are new, everything else is vintage. The Easter card under the cloche is from the early 1900’s. The bottle and 1935 Rumford Cookbook were my grandmother’s. 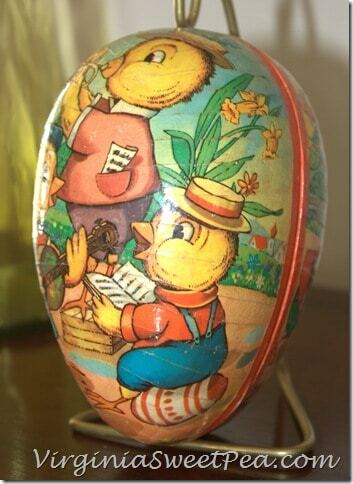 This decorated egg was in my basket every year until I moved away from home and was filled with goodies. 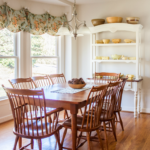 I’m not finished sharing my Easter decorations but I’ll have to save my kitchen, dining room, and family room for another day! Love all of your vintage rabbit items! SO cute! Such a pretty wreath for your front door! 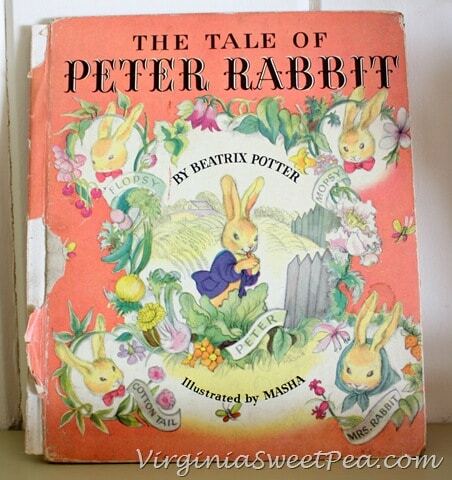 And the Peter Rabbit book is priceless. 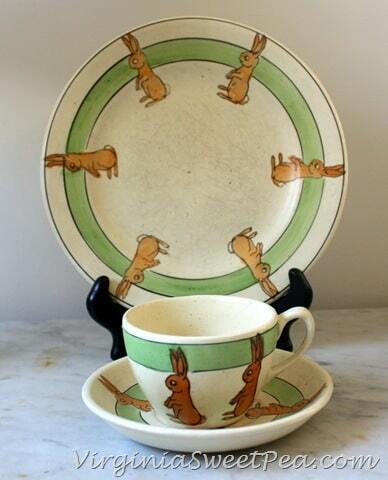 Beatrix Potter was always one of my faves as a kid! love the vintage touches you incorporated. so pretty! I love that you decorated your living room with family treasures, especially the Peter Rabbit book from your Dad. 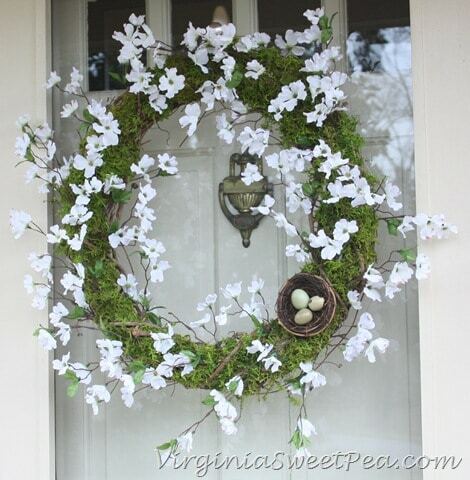 And your dogwood wreath is lovely and takes me back to my Grandma’s home. Dogwoods are the perfect symbol for Easter. Thanks for sharing all of your heirlooms. Everything is so perfect for Easter, Paula! That egg crate is awesome. I love how your pieces have so much history behind them- I remember that from many items on your Christmas tour also. Thank you for joining the tour! I love the vintage themed Easter tour! 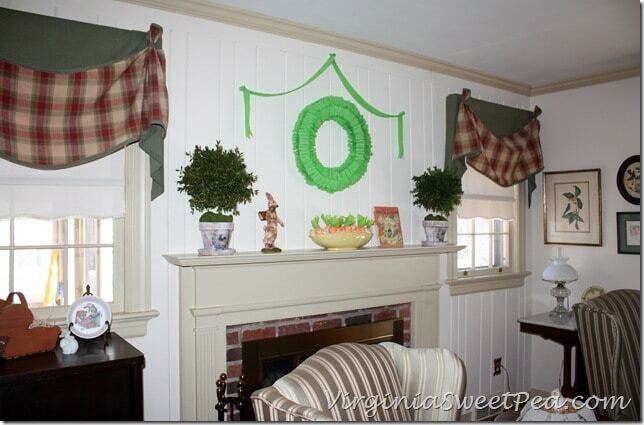 It reminds me of home…I’m from up north and everyone uses vinatge with holiday decorating. So pretty! What a wonderful way to celebrate Easter! Surrounding yourself with treasures that have so much great meaning. You had me at the Tale of Peter Cottontail. It all looks so pretty Paula! I love when a room has a story behind it. The egg crate is amazing! 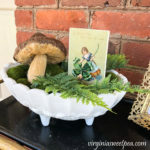 I love incorporating vintage items in with the new! Everything looks so great Paula!! 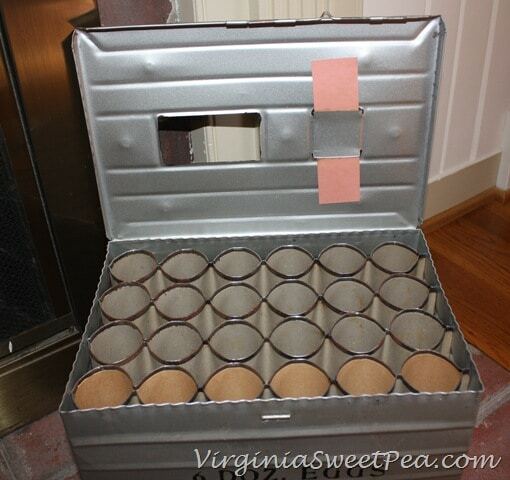 I LOVE that egg box…have never seen anything like it. What a sweet Easter tour and collection. 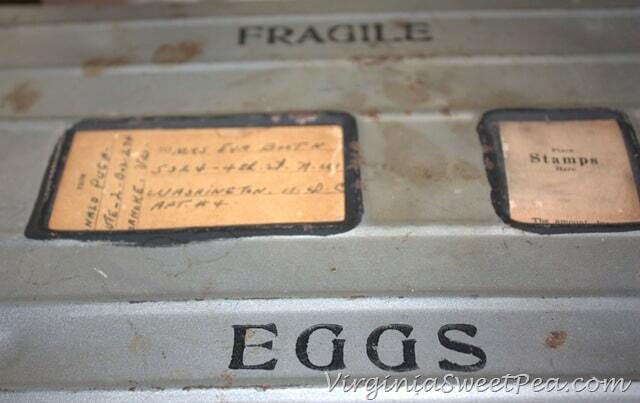 I love vintage items, and your egg carrier is so interesting. Thanks for sharing on the tour! Wow, Paula! 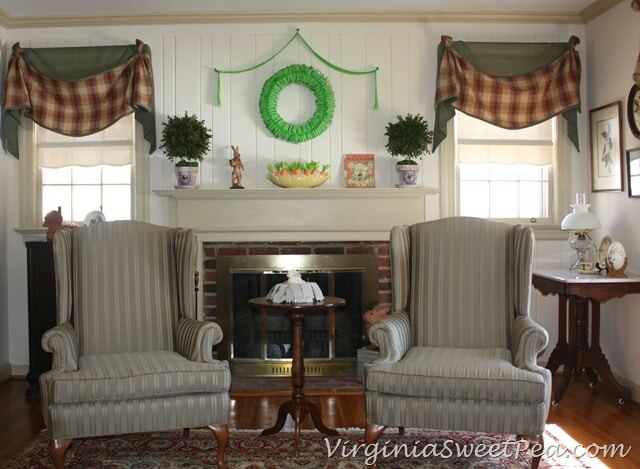 I am so impressed with your vast Easter décor! I love how most of it is vintage or something you made yourself. I love that decorated egg so much too! My Mom makes crafts and I love Easter! My favorite holiday. I love seeing your house through all of the holidays. You have some really great treasures. I love the Easter egg you have had since you were a girl. So neat. 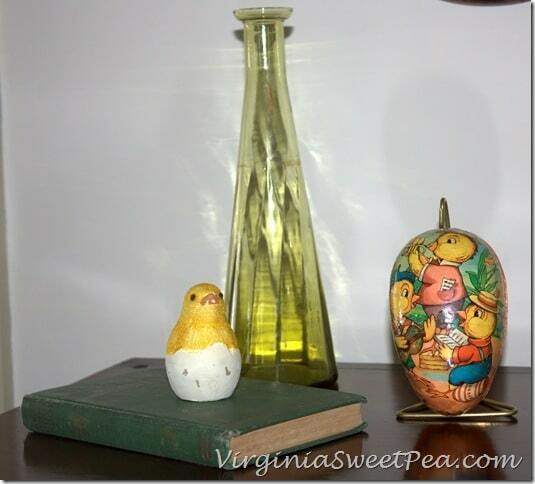 Paula, this is wonderful that you still have so many sentimental items from your family members. Sometimes we are so quick to throw things away, these are beautiful!! 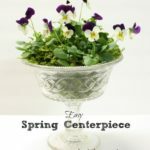 Your Easter wreath is so lovely and delicate, Paula, and I loved seeing all of your decor ~ the vintage items are always a favorite of mine.